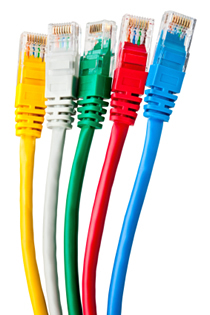 We provide networking services to customers throughout Kansas and Missouri. Our customers have looked to us for Cisco expertise and hands-on networking experience since 2000, when FLG Networking Services was founded. Our services include network assessment, network design, Cisco Firepower and Threat Defense installation, wireless networking, and general network consulting. If you think you might have a need in any of these areas - or just want to bounce a few ideas off us, please don't hesitate to give us a call. We are network designers and implementers as well as consultants. That means that we won't recommend anything to you that we can't build and integrate into your environment. If you are not sure what you need, you can have us begin with a network assessment, We can then follow up with a network design and network installation. We are a Cisco Partner, but we are focused on helping you, and not on selling equipment. We propose the products that we believe are the best fit for you. We then provide detailed specifications and work with you to find the best source. FLG Networking Services has a seventeen-year history of successfully completed networking projects. Past projects include multiple Cisco controller-based wireless installations, network core redesigns, Cisco ASA firewall and Firepower installations, and MPLS wide-area network implementations. Call us today at (913) 268-1061 to see how we can help you. For those of you who have held off upgrading to Cisco Firepower Threat Defense due to lack of support for remote access VPN, there is some good news. With Firepower V6.2.2. it is now possible to configure remote VPN access using the Cisco AnyConnect client. Note that there is still no support for IPSEC v1 remote access VPN, and we are unaware of any plans to provide this support. Do you need Internet throughput beyond one gigabit/sec? If so, Cisco now has a more affordable hardware platform in its' Next-Generation Firewall line. Cisco announced the line of FPR 2110, 2120, 2130, and 2140 firewalls in February, 2017, and they nicely fill the gap between older ASA 5500-X firewalls and the previously announced FPR4100 series. All of the FPR2100 series firewalls are 1-U devices, but can deliver between two gigabit/sec to 8.5 gigabit/sec depending on the model. The new FPR2100 series devices differ somewhat from their ASA 5500X predecessors. Like the FPR 4100 series, the FPR2100 series is designed primarily to run Firepower Threat Defense, which is the unified firewall and Firepower software. (We believe this is the direction Cisco is headed.) This software can be managed by a built-in simplified GUI front end, but it is best managed by the Firepower Management Center. If you are not yet ready to tackle the unified Firepower Threat Defense software, you also have the option of running ASA software on the FPR2100 series. However, you cannot combine ASA software with Firepower software, as you could with the ASA5500-X boxes.